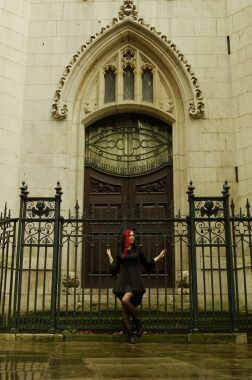 I was traveling to London and I got this idea that it would be so cool to do a photoshoot in an old graveyard. 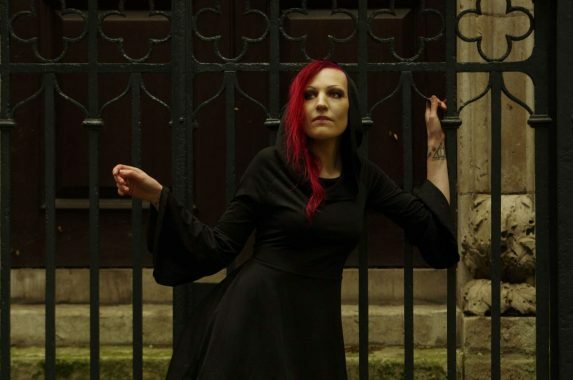 I found a photographer, Nora Hamucska, who was in the same level with me and suggested these beautiful ruins of a building in a park right in the center of London’s business zone. 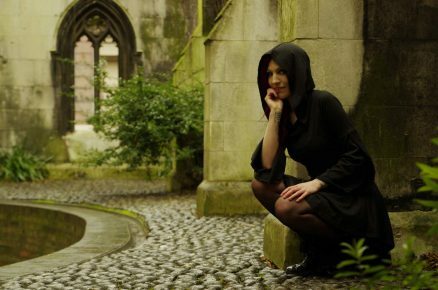 The outfit was the same as what I planned on wearing in the graveyard too since I think it fit the place so perfectly. I’ve always wanted to have a photoshoot outside Finland, where I live, and it was so much fun. Just as I had hoped for. And the photos turned out great. Bella Diemond is a professional heavy metal loving weirdo from Finland. Cosplayer. Burlesque hobbyist. Finnish alternative model.